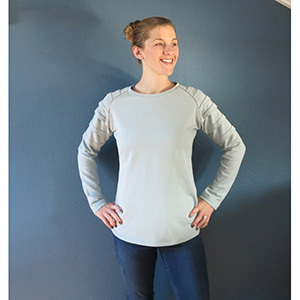 The Zoe Raglan Top is a relaxed fit long sleeve top. Featuring a raglan sleeve with pleated details and a flattering curved hemline. 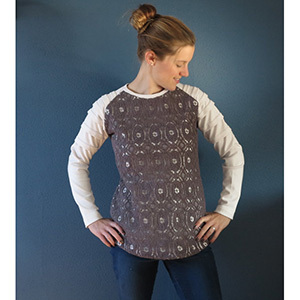 There is also an optional armhole trim. Use a thicker wool knit for the winter and a softer lighter cotton knit for the warmer days. Suitable for stretch knit fabrics only. 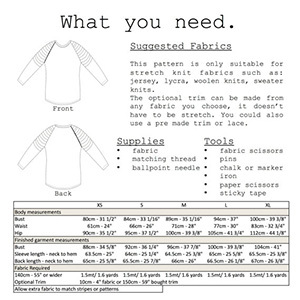 Suggested fabrics are knits such as cotton jersey, cotton lycra, jersey rayon, or french terry.